Where’s the Aged Care Sector’s “Road Map”? The Australian aged care sector is calling for its own ‘Roadmap’ for reform after the Gillard Government released a draft Ten-Year Roadmap for National Mental Health Reform for public consultation earlier this week. Sector umbrella organisation, Aged and Community Services Australia (ACSA) says it’s buoyed to see the Government release a “roadmap” for mental health reform over the next decade. However, ACSA National President, Rob Hankins, said the aged care sector would now like to see parallel and immediate progression for aged care reform. “An aged care roadmap requires unambiguous objectives and targets. While as a sector we are unequivocally committed to the idea of a roadmap, identifiable sequencing and precise targets are fundamental for its likelihood of success,” Hankins said. “To take nothing away from the critical area that is mental health and the importance the Government is rightly placing on it, the time has very much come for the Government and Parliament to manifestly lead the way with aged care reform. “Extensive consultation was essential and has been undertaken across the wider aged care sector, but the time for action has arrived. The Minister for Mental Health and Ageing, Mark Butler, and the Minister for Families, Community Services and Indigenous Affairs and Minister for Disability Reform, Jenny Macklin, released of the draft Ten-Year Roadmap for National Mental Health Reform for public consultation calling on the Not for Profit sector to comment on the draft in an online survey. The Ministers say the Roadmap will provide governments, the community sector, workplaces and communities themselves with a measurable, long term national reform plan for mental health which will guide where we focus our attention and funding over the next 10 years. Minister Macklin said the Roadmap would complement the Government’s progress towards a National Disability Insurance Scheme. “We want to get this Roadmap right and we want the community to be involved in the process which is why we are making it available for public comment. The online survey tool is an open form of consultation to help gather the broadest range of feedback on the draft roadmap. 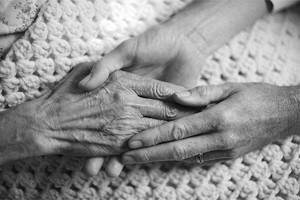 It will be available until 1 February 2012 on the mental health page of the Department of Health and Ageing website. Read Pro Bono Australia’s coverage of the this topic here.